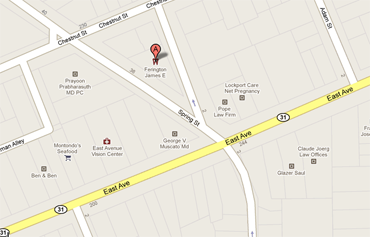 Our office is a modern dental practice dedicated to comprehensive and individualized patient care. 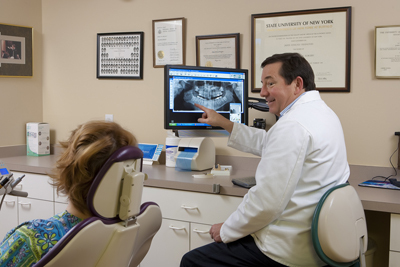 We provide a comfortable environment where oral health and education are a top priority. We continuously educate ourselves and upgrade our technology in order to provide you with the highest level of care. Whether you are an existing patient or someone in need of a new dentist, we look forward to hearing from you soon. Dr. Ferington is extremely proud to carry on a tradition of caring for his patients in Lockport and surrounding areas as his father did before him. 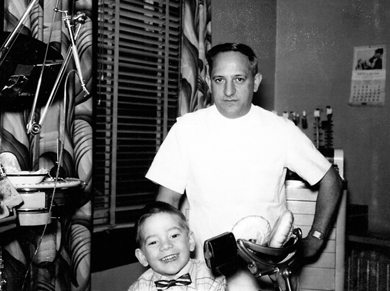 Pictured on the left is a young Jim Ferington with his Father Dr. Edmund Ferington at his practice above the Palace Theater on Main Street in the 1950s. Click here to read a letter from Dr. Ferington describing what you can expect from our practice as a new patient. By utilizing cutting-edge technology we are able to provide you with the most precise care assuring maximum results and ultimate comfort. We offer a full range of innovative, high quality dental services to improve quality of life and appearance, maximize dental function, and maintain good oral health. 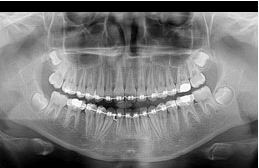 Our Carestream Digital Panoramic System provides immediate and accurate images of your teeth and surrounding tissue, enabling us to quickly diagnose your dental health and give you a precise, detailed report on your oral health. Our office is located in the heart of Lockport on East Avenue just east of Main Street, easily accessible from the 990 and Transit Road coming from the south. Click the map for door-to-door-directions. There is ample parking on the side and in the back of the building for our clients.